The General Roofing Manufacturing Company was founded in 1904 by George M. Brown. As the popularity of the company’s roof products expanded, the company attained the name CertainTeed Corporation. From the 1930s through the 1980s, CertainTeed produced many asbestos-containing products, including cement pipes, roof coating and seal plastic. CertainTeed’s products were not limited to use by only construction workers or roofers. Instead, workers in a variety of industries, including painters, made use of the range of products. In 1988, CertainTeed became a wholly owned subsidiary of Saint-Gobain, one of the world’s largest building materials company. Today, CertainTeed remains one of the top construction materials companies in the country. They manufacture roofing, siding, trim, fencing, foundation, windows, insulation, pipe, ceilings and other construction materials. The company also invests in the development of environmentally friendly building materials. Nearly 9,000 people are employed throughout 70 facilities around the country. CertainTeed was listed as a defendant in multiple asbestos lawsuits in recent decades. In many cases, plaintiffs alleged the company contributed to the development of their asbestos diseases in some manner. CertainTeed paid out million in settlements and verdict awards, including at least one nine-figure court loss. In the California case Evans v. A.W. Chesterton Co., Rhonda Evans, the wife of an L.A. Department of Water and Power employee of 25 years, developed a form of cancer called mesothelioma that is related to asbestos. It came from inhaling asbestos fibers that were on her husband’s clothes. The secondhand exposure came from Evans washing her husband’s clothes for 25 years not knowing they contained asbestos fibers. The asbestos originated from her husband’s with asbestos-containing products, which she claimed included CertainTeed’s materials. Evans was awarded $208.8 million in April, 2010 by a Central District Los Angeles Superior Court jury in the lawsuit claiming negligent asbestos exposure that led to mesothelioma. In Pierce v. CertainTeed Corporation, a 70-year-old retired machine operator and supervisor filed a lawsuit against CertainTeed. Ralph Pierce was diagnosed with colon cancer in 2003 from exposure to work-related asbestos from contaminated cement pipes that were manufactured by CertainTeed. He worked with the West Contra Costa County Wastewater District from 1972 to 1997. He was awarded more than $3.4 million by a San Francisco jury in May, 2005. Another high profile case, Central Wesleyan, et al v. W.R. Grace & Company, et al, involved Central Wesleyan College, a college in Central, South Carolina. Central Wesleyan filed a lawsuit in 1987 on behalf of itself and a class of public and private colleges and universities that have experienced property damage because of asbestos in their facilities. Settlements in the case reached an aggregate of more than $40 million. 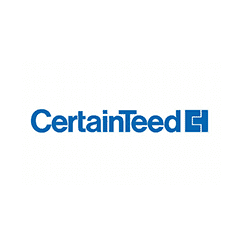 At least 30 lawsuits went to trial with results split between property owners and defendants, and some 14,000 claims are pending against CertainTeed. In February 2018, an Arizona state court cleared CertainTeed from a $5 million asbestos wrongful death lawsuit. The jury ruled that the building materials company is not responsible for the death of Francisco Herrera, whose family claimed he developed mesothelioma after years of inhaling dust generated by sawing asbestos cement pipes. Attorneys for CertainTeed successfully argued that the jury did not have sufficient evidence to identify CertainTeed’s pipes as the primary cause for Herrera’s cancer. Exposed to Asbestos at CertainTeed Corporation? CertainTeed’s products were primarily used throughout the Navy and within industrial and construction industries. Employees and servicemen within these fields are at increased risk of asbestos exposure. Exposure can occur when people work directly with asbestos-containing materials and the materials are disturbed, damaged or weathered, releasing toxic fibers in the air. Roofers, construction workers, insulators, painters, plumbers and navy servicemen are among the many occupations that should be aware of potential exposure from CertainTeed’s products. Buildings and structures that utilized parts manufactured prior to the 1970s are most at risk. Former CertainTeed employees and people who interacted with their products are encouraged to seek medical attention to screen for potential asbestos exposure. A few examples of CertainTeed-brand asbestos-containing products include: Asbestos Cement Sheets, CertainTeed Asbestos Roof Coating, CertainTeed Asbestos Cement Pipe, CertainTeed Cold Process Cement, CertainTeed Joint Treating Compound, CertainTeed Plastic Cement, CertainTeed Sealing Cement and Wet Seal Plastic Cement. CertainTeed products that were used by the Navy include: Cement pipe, roof coating, cold process cement, joint treating compound, plastic cement and sealing cement.